Tune up and rock out. 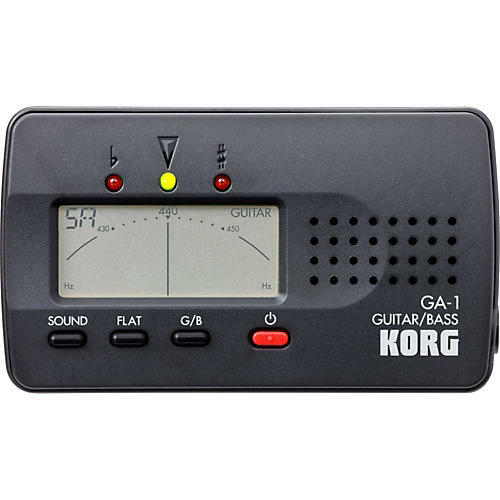 With a size similar to an audiocassette case, the KORG GA-1 guitar and bass tuner features a distinguished design in a pocket-sized package. Its large display window offers greater visibility than many tuners on the market. The display includes an LCD needle-style meter, as well as red and green LEDs for utmost accurate tuning. The auto power-off function saves the battery when you forget to turn it off. Order today and always be in tune.